Thread: dianabol and keeping size? Does anyone know if tribulus would help to keep size gained off dianabol ? No it won't work, even clomid is iffy with just dbol because what dbol does is push water into the muscle cells which give you the bulked look in record time, once you stop it if your not running injectables you will loose a good amount of the size. Great for kick starting, but a waste if done alone IMO. Mishon1 gained 18 and kept all of it except maybe a pound or two on a 5 week cycle of dbol without clomid. but i do agree that this is very rare and dont bother with tribulus its about worthless. 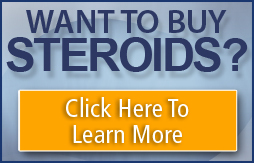 tribulus is only fractionally effective compared to clomid. if you're stuck without clomid then use tribulus, but why would you be stuck w/o clomid?